Connecting police forces for a safer world is the key message behind INTERPOL, an international organisation with a century of experience, now counting 194 countries linked through a secure network of National Central Bureaus. INTERPOL officers are not what one can imagine by watching Hollywood movies, they don’t smash doors to apprehend suspects. They mainly look at screens, as they deal with databases. INTERPOL officers deal for example with the criminal history of people, forensics (fingerprints, DNA profiles, facial recognition), travel documents, stolen property (motor vehicles, vessels), firearms trafficking (comparison of ballistic data), environmental crimes and organized crime networks, including maritime piracy. 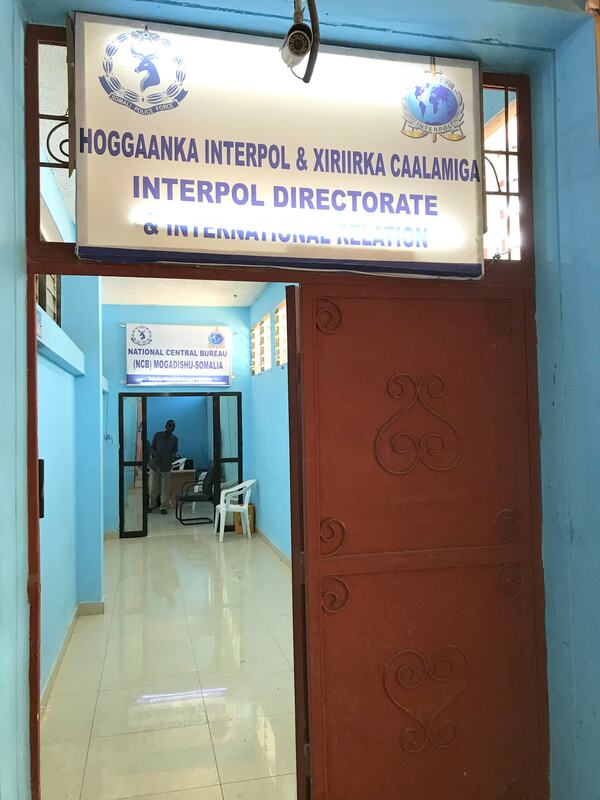 In Somalia the INTERPOL National Central Bureau (NCB) is located on the premises of the Somali Police Force (SPF) headquarters in the capital Mogadishu. Somalia’s NCB started operations in 1975. When civil war broke out in 1991, the NCB ceased activities until 2007, when they were resumed, but only nominally as the war brought destruction and nothing was left of what was once the INTERPOL office. After the war, the Transitional Government ended its tenure and the Federal Government of Somalia in 2012 theoretically opened the NCB, however it could not really be operational, due to the lack of staff and equipment. 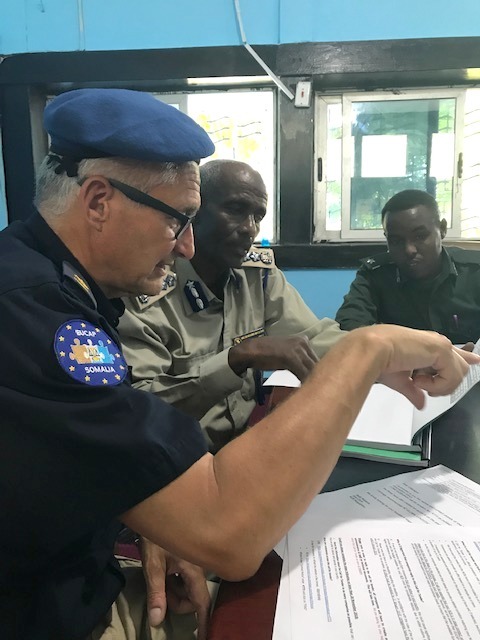 In 2018, a Senior Police officer from EUCAP Somalia, Jan Swaan, from The Netherlands, started his collaboration with Somali officers assigned to the Mogadishu INTERPOL NCB. When he assessed the conditions of the office he wandered how anyone could expect Somali police officers to contribute to international cooperation to turn down crime, as they were lacking the very basics. To start with, the Mogadishu NCB was not connected with the INTERPOL network as electricity was available for maximum two hours a day. The office comprised of only two staff. In the rainy season water would pour down the walls, dangerously touching the (old) electricity sockets. Needless to mention that air conditioning was not an option. Jan realized that the EUCAP Somalia’s Police Unit had a very tangible purpose: resuscitate the INTERPOL NCB. A year later, looking at images of the “before and after”, the Mogadishu NCB show clear signs of a “face-lift”. 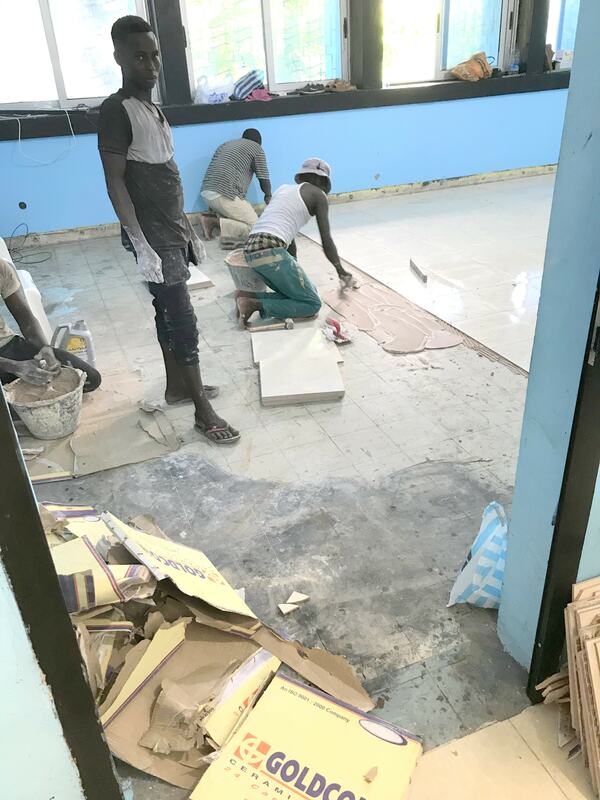 Floors and windows have been replaced, air-conditioning has been installed and, most importantly, the direct access to the INTERPOL database and mail-system, the very reason for an NCB office to exist, is in place. EUCAP Somalia is currently mentoring the Chief of the NCB and his desk-officers (five in total). 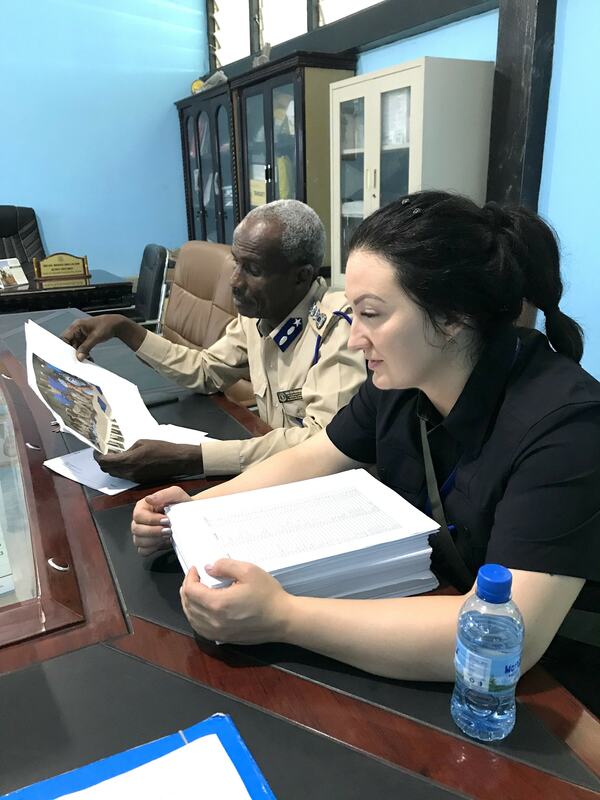 “Let me see what this dispatch is about”, says Daniela Miteva, a Bulgarian Police Advisor from EUCAP Somalia, taking a look at the piece of paper Ayub, a 27 years old Somali officer working at the NCB hands over to her. Having read the text of the email, Daniela announces to Ayub and two other officers called Mohammed: “What we need to do here is to find out what agency in Somalia deals with Illegal wildlife trafficking and smuggling”. The three young men speak in their own language unsure what this entity could be. Having gone through a quarter of a century of civil war Somali is now rebuilding its institutions. This is why it is not always crystal clear to the Somali officers EUCAP Somalia is mentoring what Ministry or authority could be handling wildlife crime cases. “Enter your search criteria” is written on the screen Daniela, the two Mohammed and Ayub are looking at. On the left of the image is the INTERPOL logo. Daniela and her Somali colleagues are working on how effectively and efficiently make searches, respond to enquiries and appropriately use the INTERPOL database. “The police in one country might arrest a person that was previously living in another part of the world. By checking the database we can find out if that person committed crimes and if there is an international arrest warrant related to that individual” says Daniela to her fellow officers. “So what happens if we pass the information on to the relevant authorities and nothing is done?” asks Mohammed, a slim 26 years old Somali, born in Sweden, grown up in London, UK, and moved to Somalia in 2007. Like his colleague Ayub, 27, who also lived in the UK before returning to Somalia, he speaks good English, which is an asset for his work at the Mogadishu NCB. Besides the work related to the INTERPOL database, Daniela and her Somali colleagues are at present working to select more personnel for the office. Daniela’s take is that it is preferable not to exclude people whose English is not brilliant, as it is better to vet other relevant skills, as language can be learned over time. Her Somali colleagues agree. Ayub and his colleagues receive INTERPOL messages every day now and the office is covered 24/7. EUCAP Somalia supported the NCB in subjects such as the setting up of the first Human Resources system in the SPF which is now a model for other specialised departments. The Mission also supported the establishment of a network among the SPF Criminal investigation Department, the Immigration, the Explosive Ordinance Disposal Department, the Federal Government Member States Police (Puntland & South West), ministries and airports. The Somalia NCB also supports the INTERPOL Regional Bureau in Nairobi, thus the INTERPOL Secretariat General in Lyon, France. 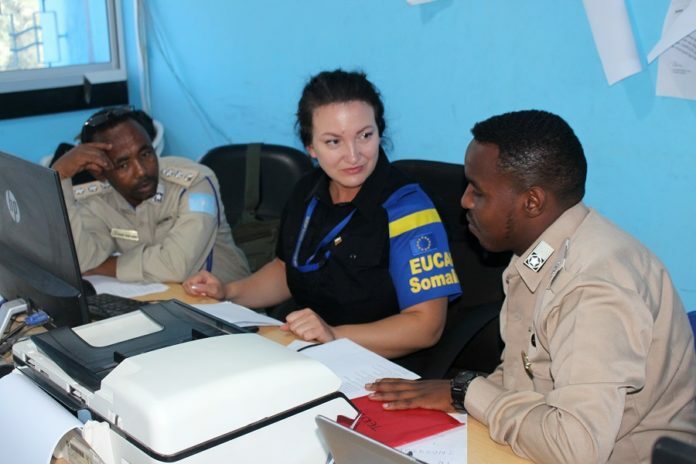 Since EUCAP Somalia’s Police Unit has been mentoring their Somali colleagues, tangible results have been achieved in cases involving illegal fishing, stolen passports, maritime pollution and a passenger apprehended with a stun grenade at Mogadishu airport. The support to the Mogadishu INTERPOL NCB has been a collective effort of EUCAP Somalia as other Mission’s units contributed to the end results, from the Rule of Law and Maritime and Coast Guard Units, Computer Information Systems, Project Cell, to the field offices located in Somaliland and Puntland. Nowadays Somalia can say as the other 193 countries part of INTERPOL: Together we can turn back trafficking, cybercrime, exploitation, radicalisation, terrorism, fear and crime. Together we can build a Safer Somalia and a safer world.